Theresa May has announced that fuel duty is to remain frozen. The news follows Chancellor Philip Hammond's suggestion in September that it might be lifted in order to raise funds for the NHS. The fuel duty freeze marks the ninth year in a row that tax on fuel will not rise, with the Prime Minister saying that a car is a necessity, "not a luxury", for millions of people. Phillip Hammond previously hinted that fuel duty might rise in the October Budget to part-fund the NHS. Hammond noted that it would cost the Treasury £38 billion if the fuel duty freeze continued for another three years. However, the Green Party has criticised previous freezes — saying the extra money could be spent on public transport, walking, and cycling. 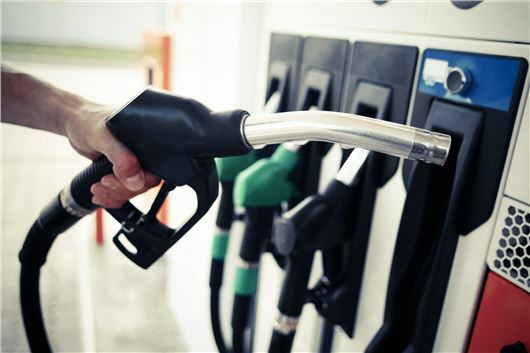 RAC fuel spokesperson Simon Williams said: "Latest market indications are showing prices are beginning to go the wrong way, perhaps taking us closer to the record highs of April 2012." The average UK petrol price is currently 130.6p-per-litre, while diesel is 134.5p. In the past 12 months, average petrol prices have gone up by 11.5p-per-litrel with diesel up by 14p. This translates to UK drivers now paying £8 more to fill up and average family car - like a Ford Focus - than they did a year ago. Over the past four weeks, petrol prices have stayed steady but diesel has climbed by a penny to its highest point for more than four years. According to the RAC Foundation, 61 per cent of the price of petrol and nearly 60 per cent of the price of diesel is taxation. "While there is a silver lining in the form of no rise in fuel duty, darker clouds in the form of higher wholesale costs may well be passed on to drivers at the pumps imminently. It would have been foolhardy for the Treasury to opt to punish drivers further," said Williams.